How can my little brother help? So as some as you may know one of my crabs has recently passed. I am getting two new ones. One is technically going to be my brothers but i have to do most the worm. What aare some ways he can hel out. He is 6. Re: How can my little brother help? What a good sibling you are! You can def teach him which fresh foods he can prepare for the crabbies and how- that doesn’t have to involve sharp objects- and make it his job to... idk, maybe keep a record of the daily temp and humidity readings (I’m sure you know how to make this sound as important as you can) and it’s good for him in a lot of ways. Hmm. It is up to you and your crabbies how interactive to be or not be, so I can’t advise you there, but that’s a couple things that are easy and will be fun for him- at least for a while and until some of the new wears off. I keep a log of what I feed mine and when, and anything unusual that happens, like Pat being adopted! We are getting the crabs tonight. I have this really strong feeling he will lose interest fast. If your parents dont mind him being around 'chemicals', he could also help with dechlorinating the water or adding salt to make salt water? Jamison wrote: We are getting the crabs tonight. I have this really strong feeling he will lose interest fast. You are most likely exactly correct about that. Patience, grasshopper. Have had hermit crabs since my son was that age. He’s always helped spot clean the tank, fed them, helped with water changes, washed shells, etc. Also 6 years old is not too young to learn kitchen skills, with supervision. He can empty and rinse the food and water dishes as needed. You can always have water prepared declorinated fresh and salt he can use to refil. He can replace food, and help record what was offered, and what was eaten. He can help spot clean and or wipe down the tank walls decorations and sand rinse shells out or replace as needed. You could always make a simple schedule for him of his chores. You can use pictures from clip art to help him read it. 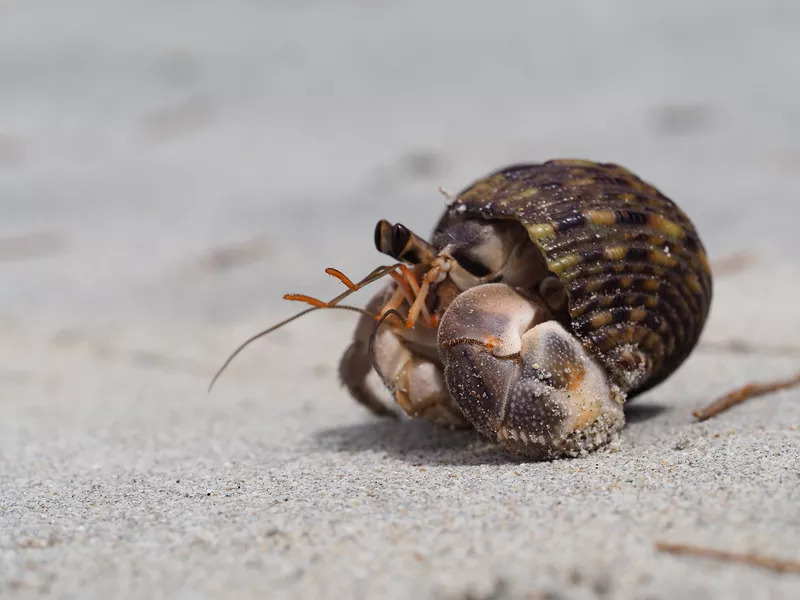 This is something similar to what I did with the school age children when each room was required to have a pet, and they elected to get hermit crabs. It gave just enough to make them feel like they were doing something, and feel important. We would take pictures of the crabs when they changed shell and have their name next to it so we could keep track of who was who. Now you would still have to over see his help but it would give him something to do.